The SBC Plodder always has good ideas. Is every idea he has a good one, though? Well, check out this one and then you make the call! OK, OK. Baptisms are down, back to the level of the 1950s. We’re all chagrined, embarassed, and upset about it. How about we stop the hand wringing and finger pointing and do something about it. The photo is an actual church sign near me. That’s it. Have a rebaptism service. Think of the possibilities. You would have a new target audience, everyone in your church who has already been baptized. We are already experienced at doing rebaptisms and know some of the ins and outs to it. All those who were baptized as 4 year olds will be able to acquire a baptismal experience they will actually remember. Plug the increased baptism numbers in the Annual Church Profile. No one will dispute them. A baptism is a baptism is a baptism. You could lead your association in baptisms and turbo your SBC trajectory to new heights, larger churches, denominational positions. Actually, the sign should have said “Reaffirmation of Baptism Service” what I am told is a Methodist liturgy, sort of a recommitment service. If we don’t rebaptize, what are we supposed to do when someone gets resaved? Are you sure that you’re sure that you’re sure? It is ironic that for folks with a clear doctrinal distinctive like perseverance, there seems to be a lot of time and energy invested in making people doubt their salvation. Why not just call it a Pool Party? We could sneak in all the folks who were sprinkled and thought that was the correct mode. And furthermore .. maybe that’s where most of our missing membership came from. People who were “re-baptized” and counted as new additions. You may have stumbled across a heretofore closely guarded secret! Nothing like a little sarcasm and irony to start the week off right. Thank you, William. Not even jest would I support something like this. Baptists were accused of being rebaptizers, thus breaking the clear teaching of the scripture of one Lord, one faith, and ONE BAPTISM. Baptists answered there accusers saying that the person being immersed on profession of fatih was being baptized for the first time, that sprinkling and pouring and infant affusion were not baptism in any sense of the word. One member of a Baptist church sought to be re-immersed, claiming he had not been converted the first time. The church refused his request, asking, “How do you know you were not converted the first time? And How do you know you were converted the second time?” I would be very careful of this kind readiness to re-immerse. A practice by a young SBC pastor in my area is to promote baptism services via Facebook and Twitter. His messages read “Baptizing next Sunday … Sign Up!” He’s leading the association in baptisms as folks simply show up and get in line. Reverence of this sacrament somehow get lost in the social media shuffle. Just a bit more background on this. As I implied, this is a United Methodist Church. They are without a pastor. 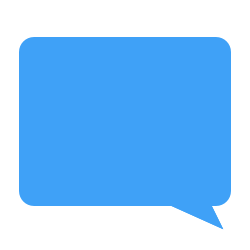 I contacted the listed pastor, a woman, who had already been reassigned. She was surprised to hear what the sign said. 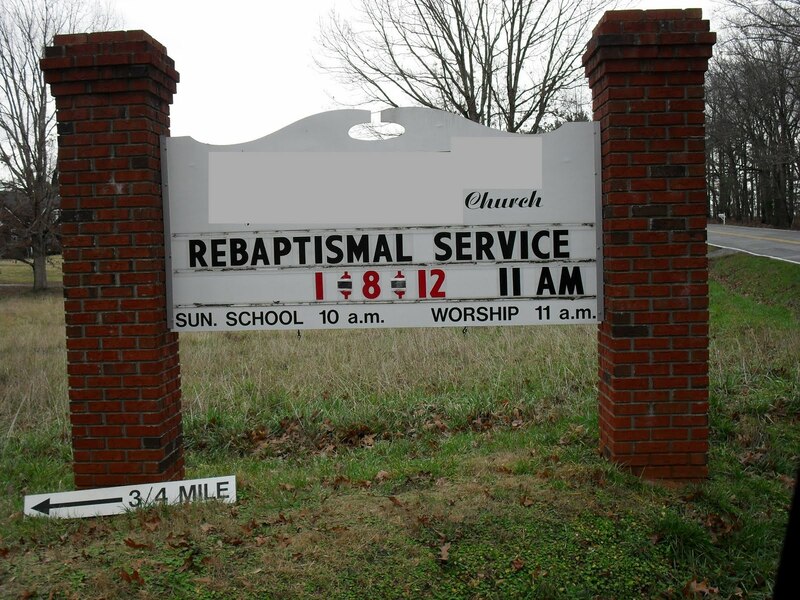 The UMC District Superintendent said that the church had a lay preacher at the moment and that the sign should have said “Re-affirmation of baptism service”. He didn’t sound to happy about it. It must have been preordained so that we could have a little fun at the Methodists expense. do you tell them a new plan of salvation or the one they heard as a child and believed, received, trusted. Tell Me the Old-Old Story. Not a new one.